A picture of Bernie (Bernardus of Kahnawake) is featured in the Clubnachrichten (Club News) of the DCNH. At the Jubilee Show in August he won Baby Class with the result ” promising” with his also very promising brother Koda (Brendan of Kahnawake) in second place. 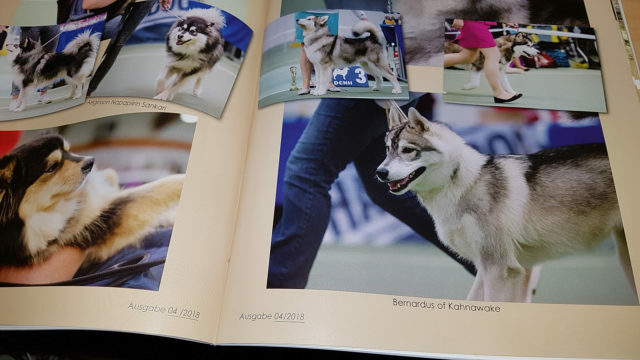 Josefine Munke (Toolik’s Alaskan Malamutes) took a nice picture of Bernie which made it into the report about the show, printed in the current issue of the CN. Thank you, Josefine, for the pic!